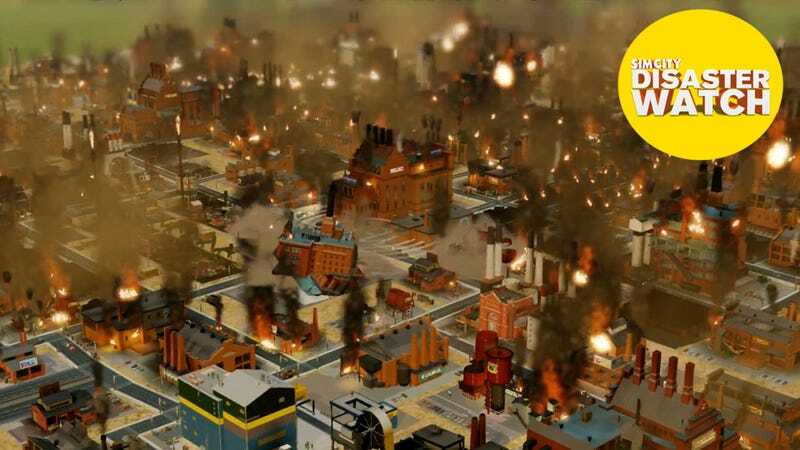 As the disastrous SimCity launch lurches toward the end of the week, it feels like it's been one catastrophe after another. Earlier this morning, EA started disabling features to get the game to work. And in the latest hit against SimCity, megaretailer Amazon.com has stopped selling digital copies of the game. Hey, remember when video games came out and then you could actually play them? Many customers are having issues connecting to the "SimCity" servers. EA is actively working to resolve these issues, but at this time we do not know when the issue will be fixed. Please visit https://help.ea.com/en/simcity/simcity for more information. While Amazon's page doesn't explicitly say that they've put the game on hold due to the server issues (it's possible, for example, that EA asked them to halt sales to limit new users, or that they've simply run out of codes), it certainly looks as though that's the case. I've reached out to both Amazon and EA for clarification, and to find out under what circumstances Amazon will begin to sell digital copies of the game again. Earlier this morning, Mike gave SimCity a "Not Yet" verdict. Sounds like Amazon agrees, for the time being.